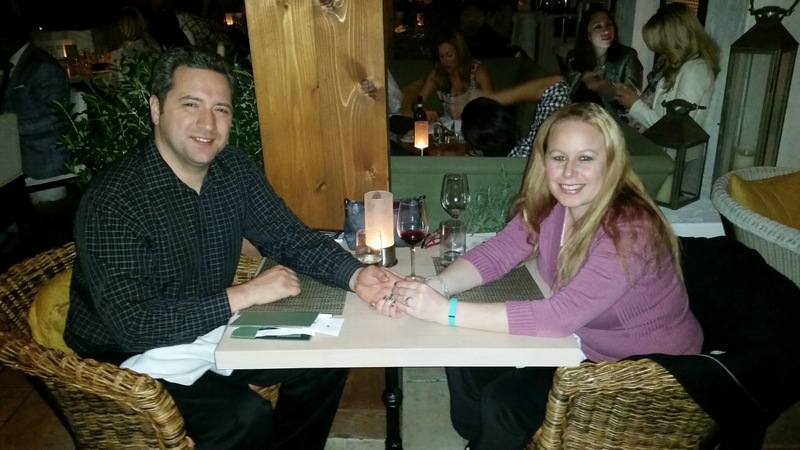 I went to dine at Fig & Olive this past Friday in the excitement of checking out their menu for Orange County Restaurant Week! 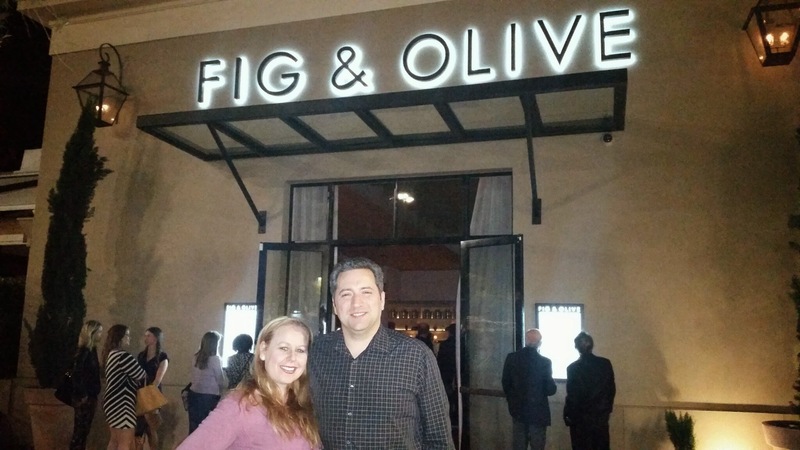 I have been to Fig & Olive twice in the past, once for their grand opening party (see link about the opening party here) and once my hubby took me for Valentine’s Day! They have several locations, but the one I have frequented is located in Newport Beach in Fashion Island at 401 Newport Center Dr., Suite 151 in Newport Beach, California. 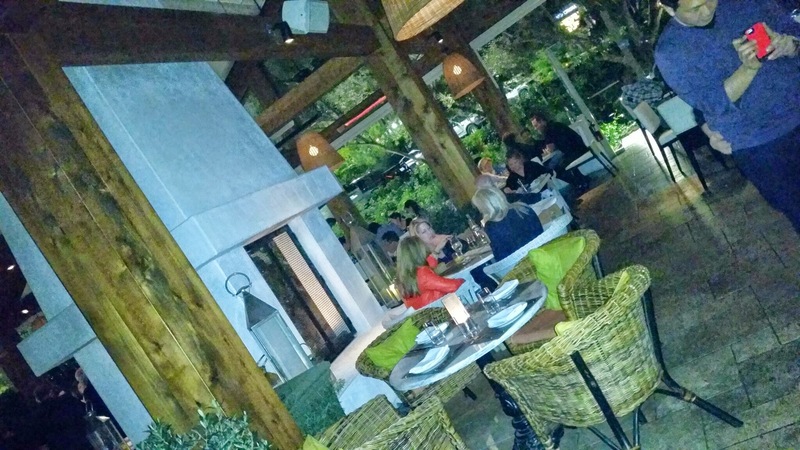 I absolutely love the ambiance at Fig & Olive as there is lively music, decadent seating and unique décor! 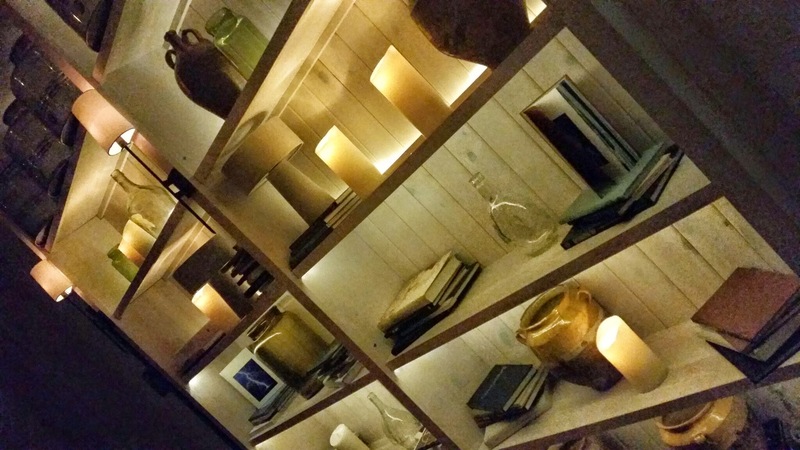 The restaurant turns into a lounge after hours and is open till 1am! 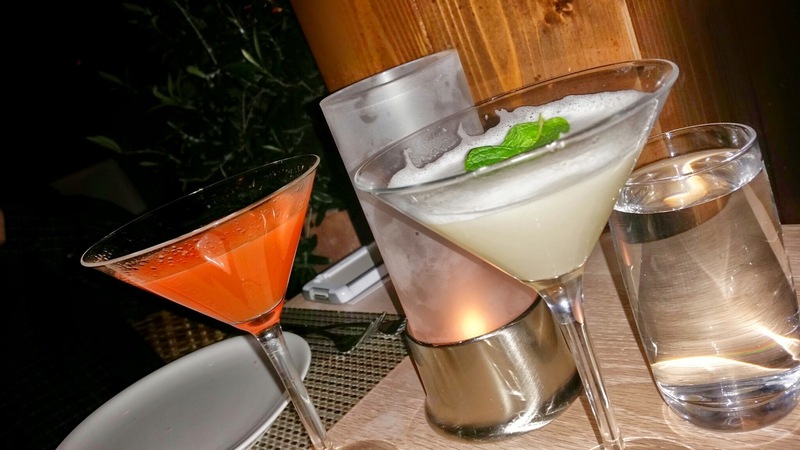 It is a super cool place that I recommend checking out, so I was quite happy to be invited in to see what Fig & Olive had to offer for Orange County Restaurant Week in addition to enjoying some awesome libations and of course wine, my personal favorite!! Our 2 cocktail selections were the Sweet Red Pepper cocktail prepared with tequila, aperol, freshly muddled strawberries, lime juice passion fruit syrup, sweet red pepper, and bitters. The cocktail I selected was the Pear Blanche which was designed with 14 Gin, St. Germain, Bartlett pear, clove syrup, egg white, and fresh citrus, then garnished with mint and a pinch of black pepper. The cocktails were quite complex with a multitude of mouth watering flavors. I have had this obsession with drinks that have egg white lately and I love pear, so I was all about this cocktail! I was bummed to find that since cocktails are seasonal, the Pear Blanche is no longer on the menu, but I guess this gives me an opportunity to go back to Fig & Olive and try something new! To pair with our cocktails, we started with appetizers. 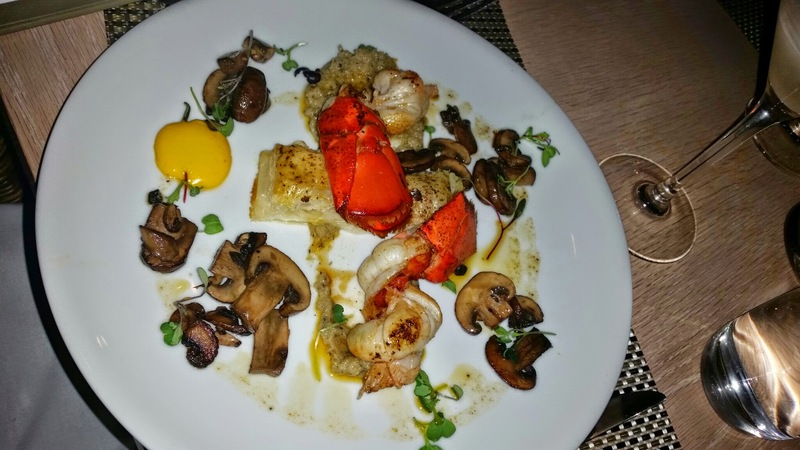 I selected the Grilled Maine Lobster Main Dish which was cooked to perfection alongside artichoke tapenade, puff pastry, mushrooms, and a smoked pimenton olive oil. I enjoyed each and every single bite of this dish and although I could have eaten more, this was very satisfying and there was a great amount of lobster. My husband chose the Beef Tartar which he insisted I loved when we were in Paris several summers ago. 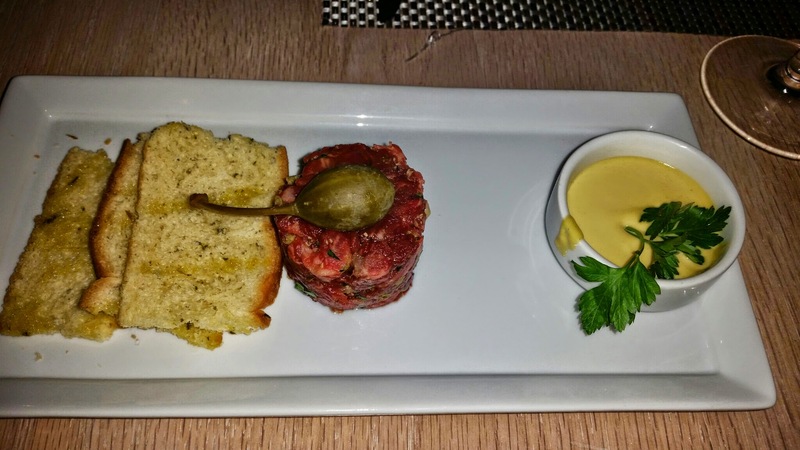 The Beef Tartar dish is not something you see very often, so he was excited to get this dish! 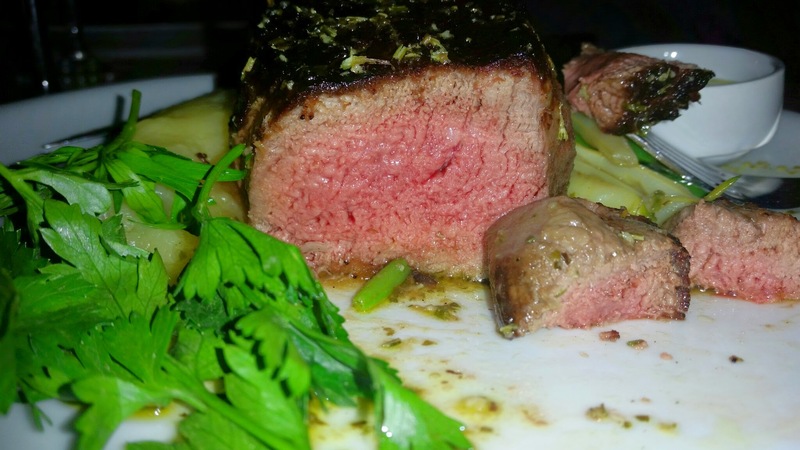 This dish was prepared with marinated hand cut grass fed filet mignon, capers, shallots, parsley Dijon olive oil emulsion, crackers and Manzanillo Olive Oil. He ate each last morsel on his plate and raved about how delicious the flavors were in this dish. Next, we each ordered a glass of wine to accompany our main entrees. I settled on a nice bold Cabernet Sauvignon from the Paso Robles region in California & he decided to go with a California from the Cambria winery in Santa Ynez Valley. These selections paired nicely with our selected entrees. When in doubt about wine, feel free to ask your server. 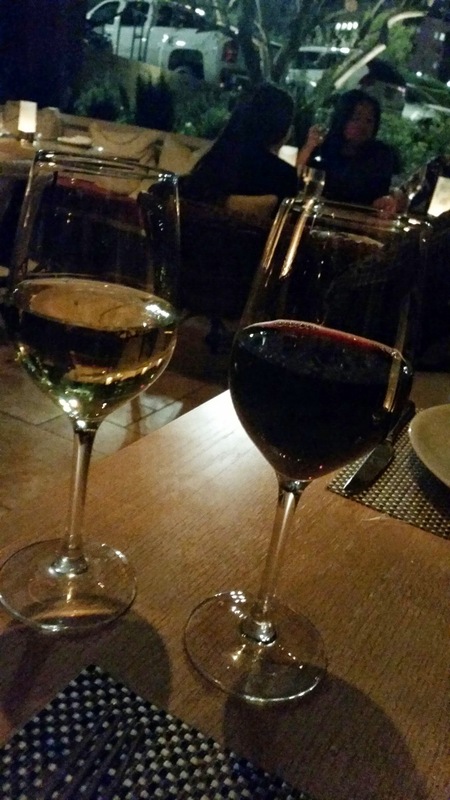 Fig & Olive staff is very helpful in helping you decide which wine will pair nicely with your meal. I was excited for dessert to come as I already knew which item I would select since I had sampled their dessert at a pre launch party of restaurant week 2 months prior. Fig & Olive seriously has the most amazing dessert crostini and I was so excited for these small bites of heaven to come on a plate that looking at the other dessert on the menu was not even an option for me! 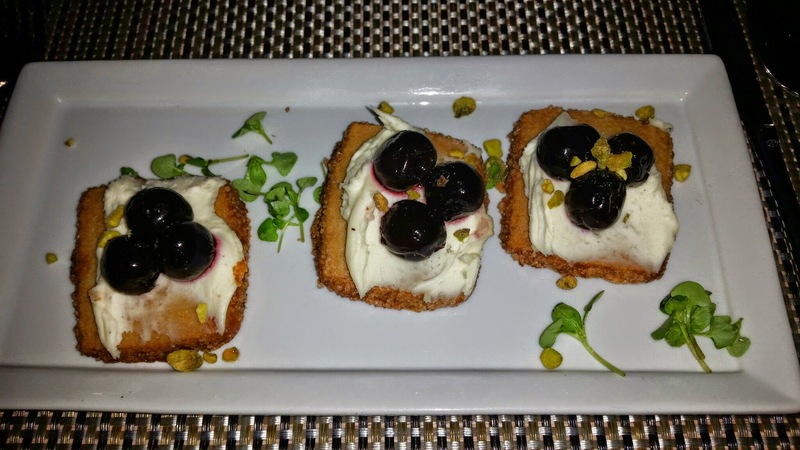 For dessert I selected the Dessert “Crostini” of course which are pistachio shortbread crackers decked out with micro-basil, mascarpone and amarena cherry. There is such a decadent flavor about these and the cookies just melt in your mouth while the cherries give off a huge burst of flavor! My husband opted for the other dessert offered on the prix fixe menu. 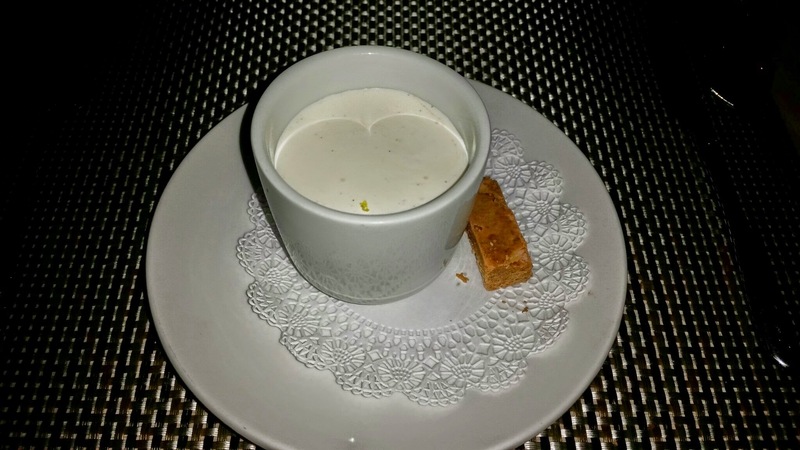 He selected the Chocolate Pot De Crème which was prepared with vanilla crème and crunchy praline cookies! This item was also a delicious choice, but since I was so obsessed with my crostini, I did not do much sharing to get a big sample of this dish. This makes me super hungry right now. Dani, when I come visit CA you have to take me to your favorite place! I really liked the olive oil dish. 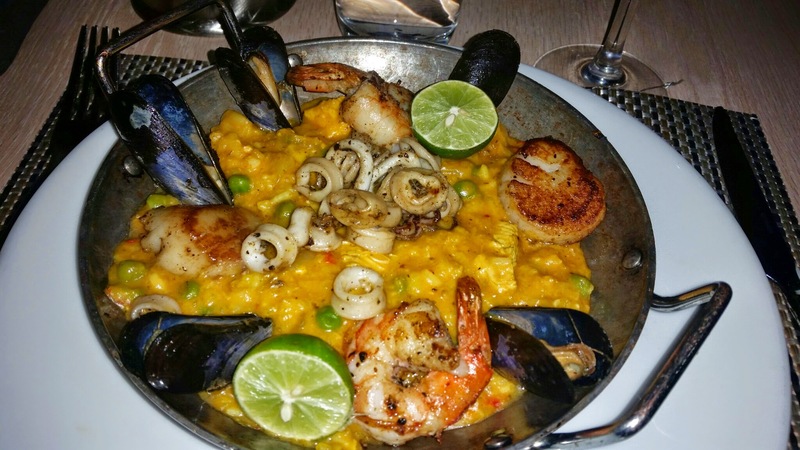 The paella looked tasty. What live music do they have? 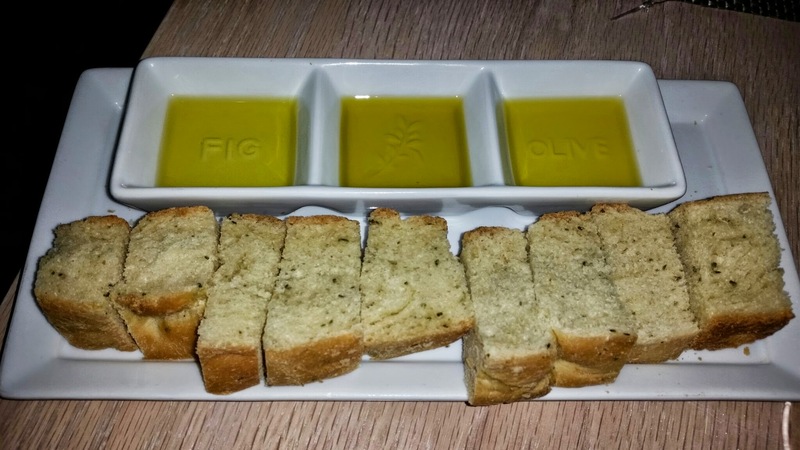 What were the prices like at fig and olive? It is pretty awesome that they use olive oil in all of their dishes! 🙂 The music is not a live band, it is mostly electronic music playing in the background and the volume goes up and the vibe changes as it gets later in the evening in the lounge area. The prices are pretty high, but for the value of what you get, everything is in normal range. Dishes range in price $30 & up.